– Use the Main Avenue entrance into the races. The entrance from 13th Avenue is under construction. 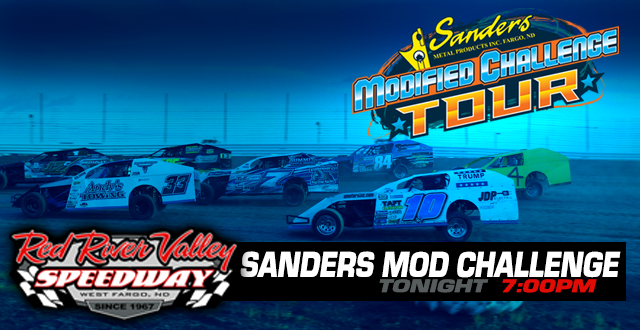 WEST FARGO, ND (August 19) – A Sanders Mod Tour and Red River Valley Speedway (RRVS) record 53 IMCA Modifieds were signed in Friday evening for night two of the tour. In a performance that mirrored his effort Thursday night at Norman County Raceway, Austin Arneson took the lead at the midpoint of the A-main and cruised to the $2,000 win. John Nord and Myles Tomlinson led the 25-car field to the green flag for the 25-lap main event, with Nord leading the opening lap over Michael Greseth. On lap two, Gresesth, who already has a RRVS feature win to his credit, took the point away from Nord before opening up a comfortable lead. Meanwhile fifth place starter, Arneson, moved by Nord for second one lap later and set his sights on the Innovative Air #17 of Greseth. Early on, it appeared as though Greseth was up to the task of keeping Arneson at bay, but as the feature wore on Arneson kept getting faster. With 11 to go, Arneson reeled in Greseth and they went door to door down the backstretch. Arneson took the lead entering turn three as Greseth tried to counter with a crossover move, but was unsuccessful. The lone caution of the race flew with 10 to go. On the restart, Arneson pulled away from the pack as Hunter Marriot began to challenge Greseth for second. Arneson amassed a full straightaway lead in the closing laps and took the checkers with ease for his second consecutive Sanders Mod Tour win. “It just took good, hard racing. I had a good race going with Mike [Greseth], but it was just fun racing with all of these guys. 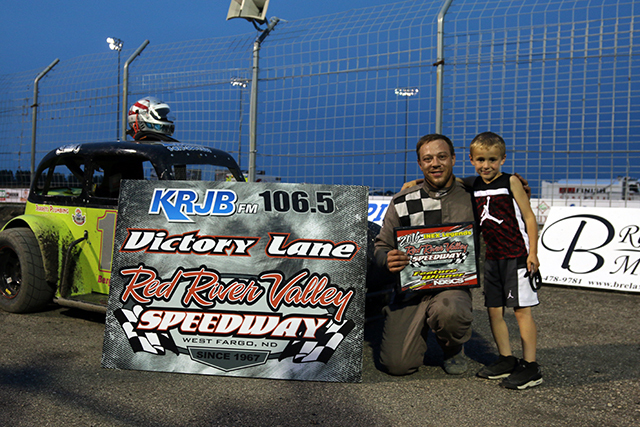 Patience was the key, running a good line, hitting my marks, and not thinking too hard,” said Arneson with a smile in KRJB 106.5FM Victory Lane. Greseth edged out Marriot in what was a highly contested battle for the runner-up spot. 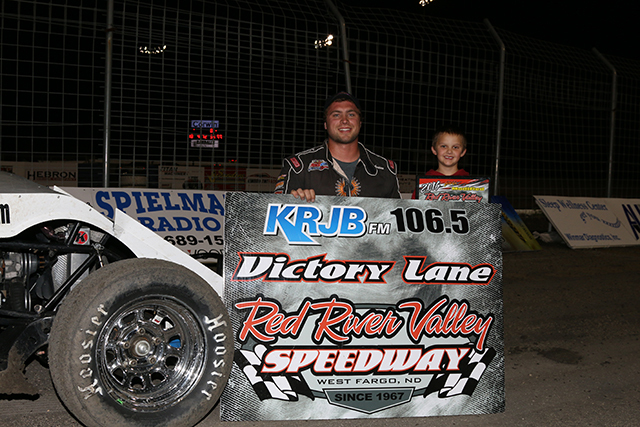 Tyler Peterson came from eighth to finish fourth as the 2015 IMCA Modified national rookie of the year, Rob VanMil, came from 10th to round out the top five. Arneson once again picked up the $250 clean sweep bonus. 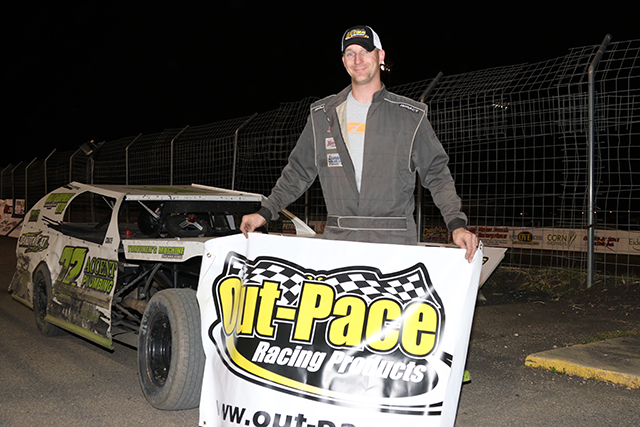 Dave Shipley was the night’s Out-Pace Racing Products hard charger, advancing from 16th to eighth. – Tickets are available at the door and on our website only. – Fans: Use the Main Avenue entrance to the Fairgrounds to get in. The road south to 13th avenue is under construction. Avoid coming from 13th Avenue. – Teams: Use the Gate 4 entrance to and from the pits only. Gates will open at 10am and the pit sign-in shed will open at 4:30pm. New teams: please respect the white reserved parking spots in the pits. All other spots are first-come first-served. EVERYONE: Have a great time! 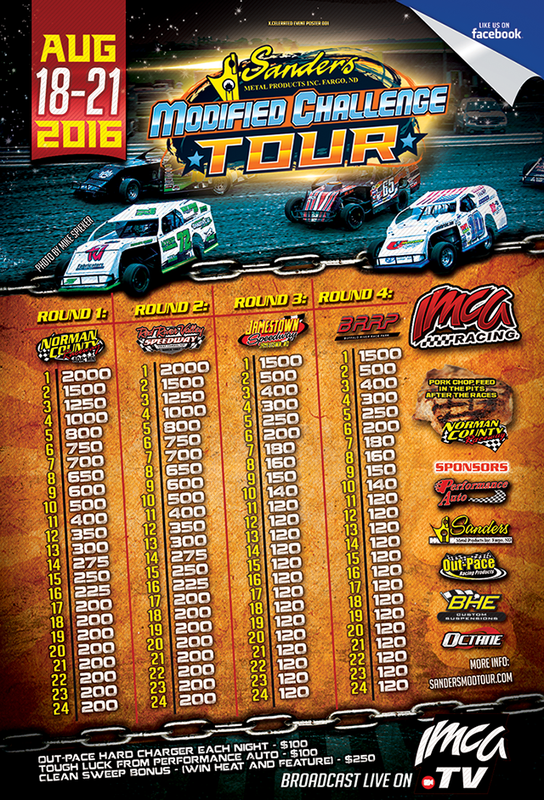 COMING UP: See some of the best IMCA drivers in the Upper Midwest battle it out as the Sanders Modified Challenge Tour makes their second stop along the way at the Red River Valley Speedway on Friday, August 19th. 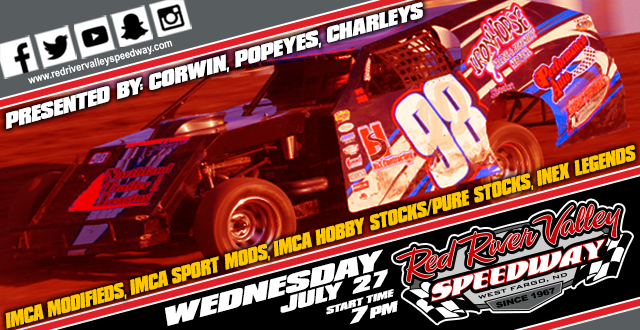 Come see the best Mod show on dirt! 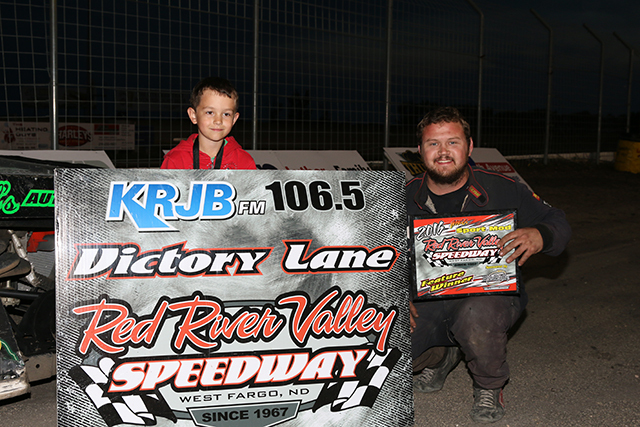 WEST FARGO, ND (July 27) – Eighty-one race teams invaded Red River Valley Speedway for the first Wednesday night program since September 30, 2011 at the three-eighths mile dirt oval. Austin Arneson, Luke Johnson, Steven Kuntz and Billy Carou all visited KRJB 106.5FM Victory Lane. The father-son duo of Todd and Jarrett Carter led them to the green flag, but Detroit Lakes, MN driver Michael Griffin came from inside row two to take the lead on the opening lap. Behind Griffin there was a four wide battle for second down the back straightaway, which was won by Billy Vogel. Vogel chased down Griffin to take the lead on lap two and opened up a fairly comfortable lead over Griffin and Dave Shipley. 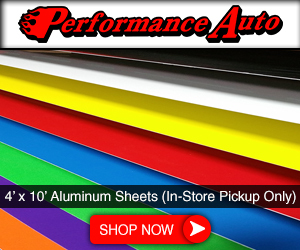 Meanwhile, the man on the move was Austin Arneson in his U Motors #10. Arneson had wheeled his way from 11th to fourth in just three laps and found himself in second by lap five. It didn’t take long for Arneson to track down Vogel’s 10 car length advantage. Arneson placed his successful bid for the lead while he and Vogel were in heavy lapped traffic with 13 circuits remaining. Once out front, Arneson cruised to the feature win over Vogel, Shipley, Griffin, and Cale Arneson. The NDSCS INEX Legends feature began with a six-car battle for the point, which was ultimately won by Dean Julsrud. 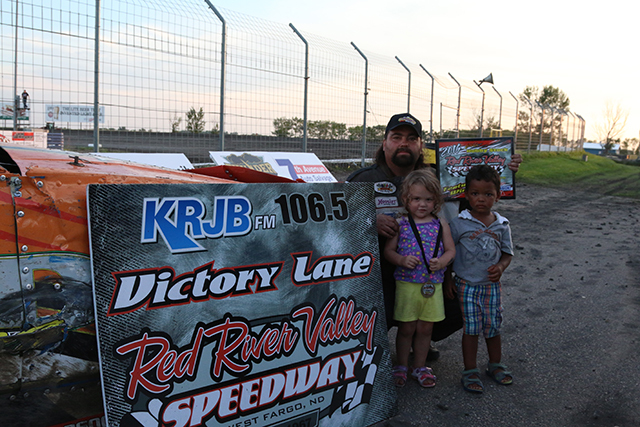 The Barnesville, MN driver led until Red River Kart Club graduate, Tim Estenson stole the lead with 10 to go. Farther back in the pack, 11th place starter Steven Kuntz was charging through the field as he passed four cars in one lap to move into second. The following circuit Kuntz drove by the #14T of Estenson and went on to lead the final five laps to score the victory. It was another dominating performance by the driver of the #7C in the A Transmission City IMCA Hobby Stock division as Jamestown’s Billy Carou drove to yet another RRVS feature win. Carou started outside of the fourth row and took the lead away from Tim Church with six to go and held off a very fast Kasey Ussatis in the closing stages to pick up the victory. 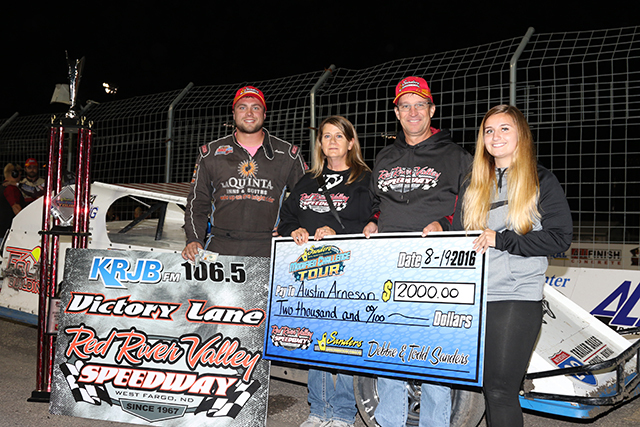 The Eide Bailly IMCA Sport Mods had a wild finish with several cautions in the late stages. Luke Johnson stole the lead from Taylor Grove on lap three to take the lead as Jesse Skalicky slid into second from his 10th starting position. Skalicky then set his sights on Johnson, but Skalicky just wasn’t quick enough to reel in the Corey’s Car Care #8J to challenge for the lead. A caution on the white flag lap changed all of that, however, as Skalicky lined up right behind Johnson with Scott Jacobson to his inside. Jacobson, who ran third on the grid, had rebounded after going to the tail of the field early for spinning out Johnson. As the race resumed, Johnson and Skalicky raced hard into turn one, but once again Jacobson drove into the left rear of Johnson and spun him out. Jacobson was charged for his second caution and was sent to the trailer. Another green-white-checkered finish ensued with Johnson running down low and Skalicky upstairs riding the rim. Johnson had the advantaged exiting turn two and went on to score his second RRVS win of the season. 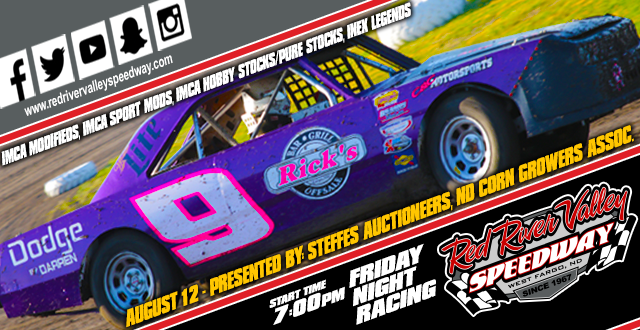 Racing continues on August 12th as Steffes Auctioneers and the North Dakota Corn Growers Association present Friday night racing at Red River Valley Speedway, starting at 7pm. 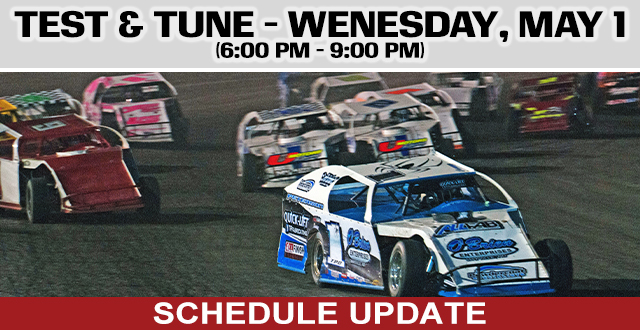 COMING UP: A special Wednesday night race. This will be for track points. 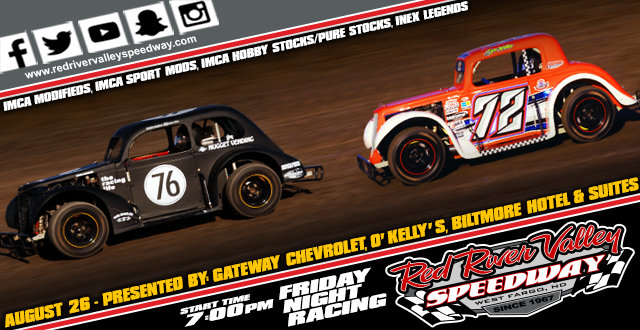 WEST FARGO, ND (July 24) – Last Friday night Red River Valley Speedway was back in action with a full show of IMCA Modifieds, Sport Mods, Hobby Stocks and INEX Legends. A great field of 70 cars among four divisions packed the pit area on hot and humid night of racing, presented by M&J Auto Parts and All Finish Concrete. 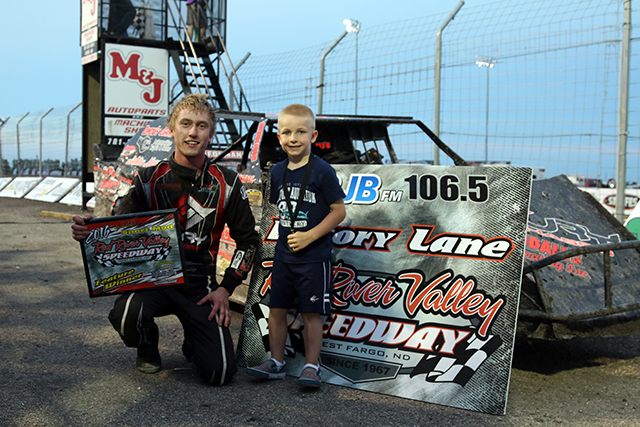 Dave Shipley, Jesse Skalicky and Billy Carou took home the Speedway Motors IMCA Weekly Racing checkered flags, while Josh Julsrud picked up the INEX Legends win. Feature racing commenced with the 13-car A Transmission City IMCA Hobby Stocks/Pure Stocks main event. Hometown driver, Torey Fischer, started on the pole with Kristen Nelson to her outside, but it was third place starter Tim Church who fought his way to the front to lead lap one. Church quickly had his hands full with the #22 of Wade Moerke as they battled door to door down the back stretch with 10 to go. Church held on to the top spot, but three laps later he was again challenged, this time by Tim Shiek. Shiek took the lead with Billy Carou and Moerke in tow as the top three cars distanced themselves by a half lap over the rest of the field. With six to go, Carou made the race winning move as he took the lead away from Shiek exiting turn four. Carou went on to pick up yet another RRVS feature win as Moerke, Shiek, Brad Orvedal and Nelson rounded out the top five. 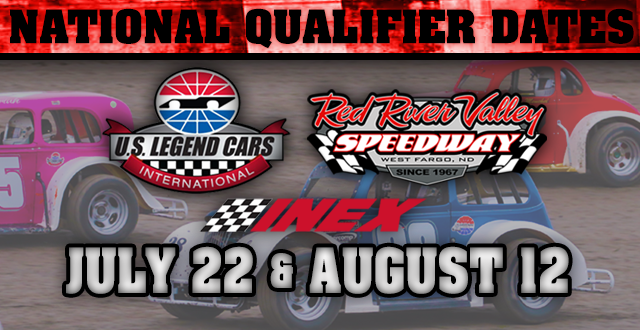 Dylan Johnson and Josh Julsrud led the field of 15 NDSCS INEX Legends to the green flag. Johnson got the jump as the green flag waved and took a commanding lead out of turn two, but he was quickly surpassed by third place starter, Jerrett Julsrud. Jerrett’s stint at the point was a short one also as Sean Johnson took over the lead with 13 circuits remaining. The next lead change was the final one of the event as Barnesville’s Josh Julsrud went door to door with Sean Johnson with 12 to go. The two leaders battled for a complete lap around the high-banked Red River Valley Speedway before Julsrud cleared for the lead out of turn four. Julsrud went on to lead the rest of the race, but had his hands full in the closing stages as Andrew Jochim challenged for the lead. 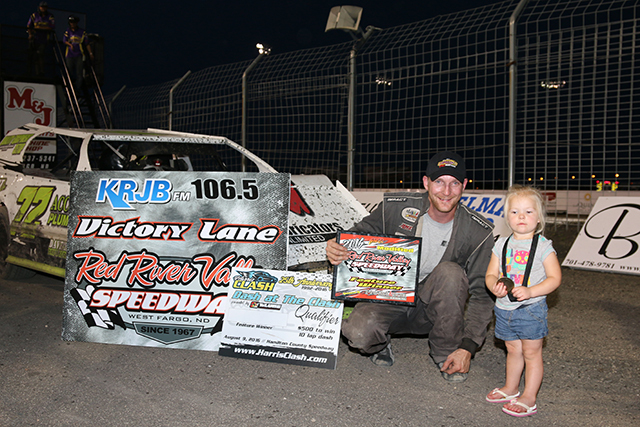 Just as he did the previous night at Norman County Raceway, Julsrud picked up the win; his first at RRVS. 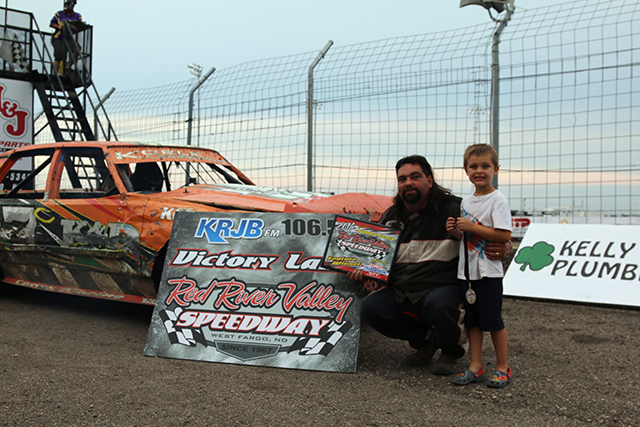 For the second time this season, Jesse Skalicky parked his #3S IMCA Sport Mod in KRJB 106.5FM Victory Lane. Skalicky started 10th in the 15-car Eide Bailly feature, but quickly made his way through the field. By lap five the Fargo, ND driver was up to second as he passed early race leader, Matt Talley. Skalicky then set his sights on Tyler McDougall, who was looking for his first RRVS feature win. Lapped traffic is where the race was won as Skalicky reeled in McDougall and shot into the lead with just three laps remaining. 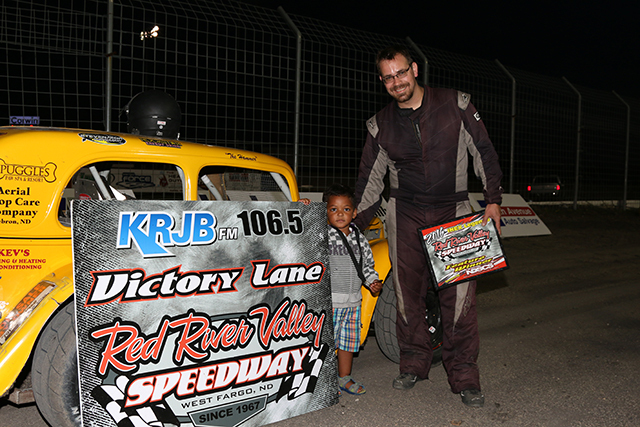 McDougall got hung up in traffic, which is all Skalicky needed to capitalize and claim his second win of the season at RRVS. The Fredrikson & Byron (P.A.) 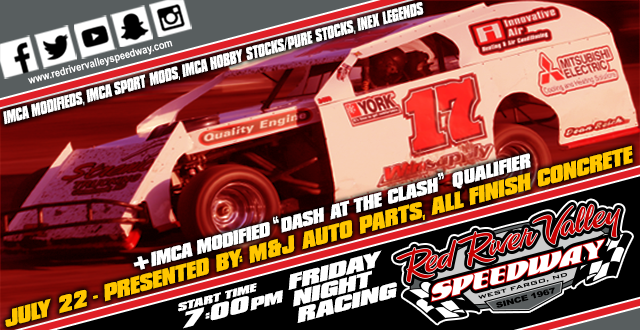 IMCA Modifieds were 27 cars strong for their 25 lap main event. 2015 IMCA National Rookie of the Year, Rob VanMil, started on the pole with West Fargo’s Ryan Dahl to his outside. VanMil grabbed the lead on the opening lap as Dahl, Dave Shipley, Todd Carter, and Jason Strand filed in behind. By lap seven the leaders were already in lapped traffic, which allowed Shipley to close in on VanMil. Shipley went to the low side of the speedway in his Dakota Cat #72, while VanMil utilized the high line. The two veteran drivers raced side by side for the lead for two laps before Shipley powered by down low to take the lead. VanMil battled back and was right on the heels of Shipley, but couldn’t muster up enough speed to regain the lead. Shipley went on to take the checkers and claim a spot in this year’s Dash at the Clash during the Harris Clash at Hamilton County Speedway in Marshalltown, IA.